Irritable bowel syndrome (IBS) is more common than you might think, with up to 20% of the population estimated to suffer from it on occasion. Experts believe that IBS treatment costs the economy up to $30 billion per year in the US alone. The symptoms of IBS may vary from one person to another, but common symptoms are either constipation or diarrhoea, often accompanied by stomach pain or bloating. As IBS is considered quite an embarrassing condition by many, it perhaps does not get discussed quite as much as it should. One survey asked IBS sufferers how much of their remaining life they would be willing to give up in exchange for a cure, and the average response was 15 years. This gives an impression of just how debilitating IBS can be for many people. It’s therefore little wonder that so many people are looking for effective treatments, with over a third of sufferers experimenting with complementary and alternative therapies. In this article we’re going to discuss some of the most hopeful options around for treating the symptoms of IBS. Over the years scientists have noted that mental state and IBS symptoms seem to be closely linked. In one study, for example, IBS sufferers were asked to complete questionnaires as to their state of mind on a regular basis, while the effects of their IBS were monitored. While IBS can trouble individuals for years on end, just as often it comes and goes in reasonably short spaces of time. Comparing those individuals who still suffered at the end of the trial with those who stopped seeing symptoms, the experts noted that continued IBS was far more likely among those with high levels of anxiety. Another study involving 117 IBS sufferers found further links between stress and the onset of the condition. They found that “chronic life stress” was a “powerful predictor of subsequent symptom intensity” that could help explain the vast majority of cases. They found, for example, that patients that were exposed to even a single stressful event saw no improvement, whilst those seeing improvements did so in the absence of stress. 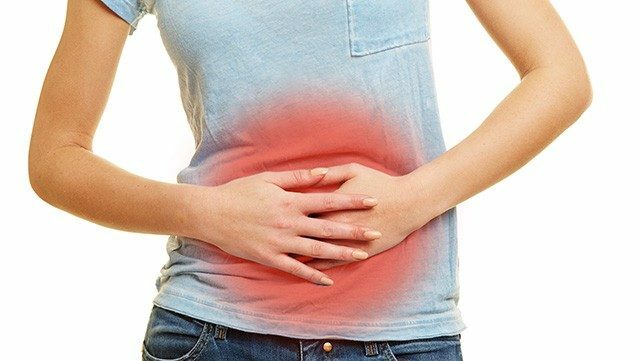 They therefore postulated that eliminating stress, or learning how to manage it, has the potential to be an effective treatment for irritable bowel syndrome. Since then, this theory has been investigated, and shows great potential. In one such analysis, volunteers suffering from IBS were split into two groups; one of which received mindfulness training while the other acted as a control. They found that those individuals taught to relax showed statistically greater improvements in their IBS both immediately after the training and even three months later. Another similar study encouraged IBS sufferers to take part in a stress management program, then monitored their IBS symptoms for a period of twelve months. They reported that two thirds of those individuals found the program helped to relieve their symptoms. The message here seems to be that the mind and the gut are close allies. Stressful situations or feelings of anxiety are likely to worsen your IBS symptoms. One group of scientists claim that the amount of stress felt over the last three months is a direct indicator of how severe your symptoms are likely to be over the next three. Finding ways to avoid or manage stress should therefore be an integral part of your IBS treatment. Whether you take up yoga, start meditating or attend a mindfulness course, the science suggests that staying relaxed has the potential to positively impact your IBS. Fibre has a big part to play in maintaining gut health and bowel regularity. As a result, modifying the volume of fibre in your diet can help to impact the symptoms of IBS. Scientists sometimes carry out what is known as a “meta-analysis” where they pool the results of other studies in order to provide an overview of what we know now. Just such an analysis was carried out on the impacts of fibre on IBS. The experts in question studied 14 scientific trials involving 906 different patients to see what impact fibre had on a large group. They found that there was indeed a relationship between fibre intake and IBS. Rather more interestingly, however, only certain types of fibre actually seem to help with symptoms. The scientists claimed that “soluble fibre is effective in treating IBS” whilst insoluble fibre sources like bran didn’t appear to help. There’s more. Other studies have looked at classic sources of fibre like bran and found that it may actually make matters worse. One hundred IBS sufferers were encouraged to supplement their diet with bran, before reporting on their experiences. Of these individuals, 55% reported their symptoms actually worsened, while only 10% improved. The key, it seems, is supplementing with soluble fibre. That’s all well and good, but what is soluble fibre and where do you get it from? Soluble fibre absorbs water in the gut, swelling up to create a thick “paste”. A good analogy is to think of how oatmeal swells when moisture is added. Insoluble fibres don’t do this, and it seems to be the consistency of the soluble fibre that benefits IBS. Great sources of soluble fibre include beans, apples and blueberries but one of the best seems to be psyllium husk. In one experiment, volunteers with irritable bowel syndrome were either given a psyllium husk supplement or a placebo. After three months the experts reassessed their symptoms and found that psyllium was twice as effective as the placebo for improving the symptoms of IBS. Elsewhere the benefits of psyllium husk were compared with those of bran. Participants were either given 3.25g of psyllium husk or 7g of wheat bran three times a day for a six week period. The experts found that the psyllium husk outperformed bran significantly, improving stool consistency, bloating and stomach pain throughout the study. Indeed, bloating actually increased in the bran group, resulting in some participants dropping out of the trial. They concluded that psyllium husk “should be preferred in treatment of irritable bowel syndrome and constipation”. Certain common foods seem to be poorly digested by the human digestive tract. As a result, they are rapidly fermented by gut bacteria, and some experts believe this fermentation process leads to the symptoms of irritable bowel syndrome. IBS experts have subsequently divided up common foods based on how fermentable they are. This has created a diet known as “FODMAP” which stands for Fermentable Oligosaccharides, Disaccharides, Monosaccharides and Polyols. IBS sufferers are advised to focus their diet on low FODMAP foods such as beef, chicken and green leafy vegetables. High FODMAP foods like many dairy products and fruits are consumed only in moderation. In one Australian study, IBS sufferers were encouraged to consume either a standard Australian diet or one comprising of low FODMAP foods. The results suggested that the FODMAP diet helped to improve overall IBS scores, as well as bloating, stomach pain and flatulence specifically. An alternative theory advises IBS patients to eliminate any foods that have a high likelihood of impacting their IBS before slowly reintroducing them one-by-one. These so-called “elimination diets” are designed to help sufferers to identify those specific foods that seem to be impacting their condition. They can then be avoided in the future for long-term relief. Probiotics are one of the more controversial treatments for IBS, with strong proponents on both sides of the fence. The theory behind the use of probiotics for IBS is that the “healthy bacteria” that live in our digestive tracts, also known as “gut microflora”, play an active role in the digestion of our food. When these natural colonies become unbalanced it is believed that digestive problems may occur, and experts have found evidence of imbalances in IBS patients. Probiotics are essentially cultures of these healthy bacteria that, when consumed, help to re-establish the correct bacterial load. In a study of probiotics on IBS it was found that positive impacts were seen on frequency and severity of abdominal pain. It did not, however, help with bloating or bowel movements. Other studies have been less complimentary about the impact of probiotics on IBS. For now, it seems that the jury is still out. All the same, probiotics have few or no side effects, so for IBS sufferers it may be worth at least experimenting with probiotics to see if you’re one of the lucky individuals that experiences a positive outcome. Peppermint oil is believed to calm the digestive tract, reducing the muscle spasms that lead to discomfort. But what does the science say? One study provided 57 IBS patients either with peppermint oil supplementation or a placebo and found “significantly higher response rates” among those individuals taking peppermint. Elsewhere, another study of 90 patients reported that peppermint oil “led to a significant reduction in symptoms and improvement in quality of life compared to placebo”. The real benefit of peppermint oil for IBS is that it has very few side effects, and those that are experienced – like heartburn – tend to be mild and short-lived. The potential upside of supplementing with peppermint oil are therefore likely to outweigh the potential risks in many patients. IBS is surprisingly common and can have a significant impact on quality of life. That said, there are now a number of treatments than science has indicated to be effective. Try changing your diet and finding positive ways to deal with everyday stress. Also consider modifying your fibre intake, particularly with regard to psyllium husk, and supplementing with peppermint oil and/or probiotics. The more options you’re willing to try, the more likely you are to land on a solution that works for you. Lastly, appreciate that as a recognised condition, your doctor is ideally placed to advise you on treatments. It is recommended that you consult a health professional before commencing any alternative or complementary treatment. This way they can discuss the pros and cons of each, and double-check that the treatment you’re considering won’t negatively impact any other medication you’re currently taking.